I don’t usually comment here on books that I abandon, but I was very disappointed in this biography of Don Dunstan, innovative Premier of South Australia and hero of progressive Australians in the 1970s. I was expecting it to recapture the heady atmosphere of those reforming days and to celebrate the man’s remarkable personality and astonishing achievements, but it doesn’t. In fact, it was too dull to finish. 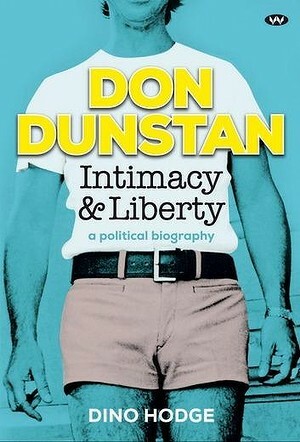 The author’s premise seems to be that Don Dunstan’s sexuality was the catalyst for his interest in human rights and civil liberties. In pursuit of that argument the details of Dunstan’s intimate life overwhelm the man’s political and cultural achievements. Unless you have a more than general interest in the history of homosexual oppression, you won’t be interested in much of the introductory chapters. I plodded through them in search of Don Dunstan, but he doesn’t arrive in the book until page 200 (of 331 pages, not counting the extensive index, bibliography and notes). It’s not that I don’t care about gay rights, far from it, it’s just that once you’ve absorbed the fact that there were antiquated laws in South Australia that were more repressive than many other places in the Western World and that the situation was exacerbated by Cold War paranoia, these early chapters have a lot more detail than could hold my interest. By the time I reached Part 3, only to find that the first chapter was titled ‘Loves Found and Lost’ I was fed up, and I was not prepared to trudge on to Chapter 8 ‘Homophobia and Humiliation‘ or Chapter 9 ‘We Are What We Are’. The cover is awful: the man was Premier of South Australia and a charismatic public intellectual, whose influence extended beyond his state to the national stage. The indignity of the cover photo is that it doesn’t even show his face. I’d like to post one that does, but since I can’t find one that’s copyright free, you need to click here for the one that’s at Wikipedia. Bob Ellis at the SMH found this book either misjudged or malign and I recommend that you read his review. PS I have listened to Phillip Adams’ Late Night Live interview with Dino Hodge. Adams thinks highly of this biography so I recommend you listen to that too. Not being an Australian and knowing nothing of the subject of this biography, you are spot on about the absolute tastelessness of the cover. What were they thinking? Yikes! I agree. The cover is terrible. I don’t know what possessed them! I’m sorry that you were disappointed in the biography. I’ve met Dino at several conferences and was pleased to see that he found a publisher for his work. I wouldn’t have minded if there had been more emphasis on his achievements; they should IMO have been front and centre from the beginning. Perhaps the editor could have restructured it so that Dunstan’s humanity shone through, rather than this dry survey that focuses on just one part of his life, important though it may have been.